Thermal Cream Couperose Skin a very fine cream specifically created for skin which show the typical signs of couperose. 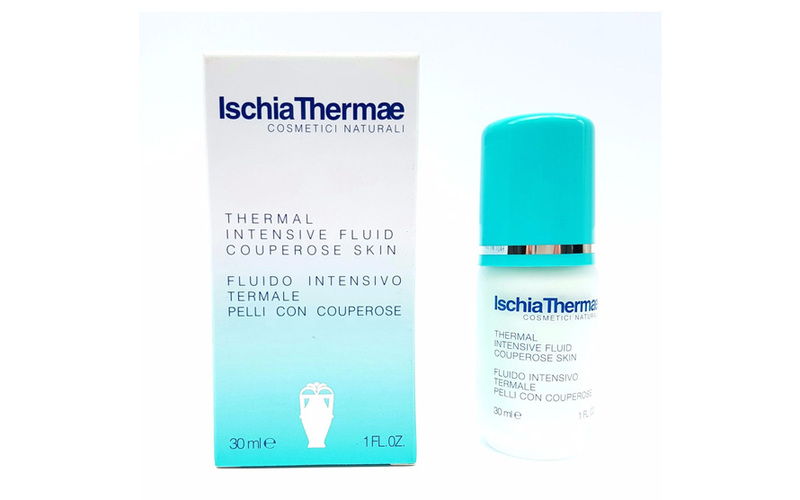 The formula, based on Ischia Thermae Thermal Water, is enriched with a complex of plant active ingredients with lightening and softening prperties. Specific natural carrier factors allow the active sustance, as Butcher's Broom and Aescin Extract, with their tested extract vessel-protecting and decongestant properties, to carry out a beneficial and deep-down dermocosmetics action. The cream furthermore guarantees a long-lasting moisturzing action and helps to slow-down the premature skin ageing process with an antiage action. Sun filtres protect the skin from harmful UV rays especially damaging to sensitie skins and skins affected by couperose. The light consistency and pale green colour, indicated for optically dimming possible red marks, make this product a perfect base for make up.